New York, NY—December 26th, 2012—Peter Parker is gone, long live Spider-Man! 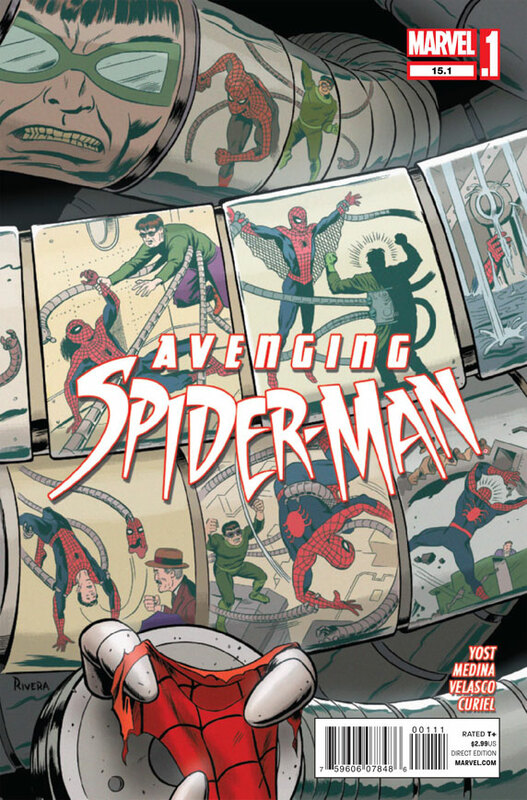 In the special, once in a life-time anniversary spectacular Amazing Spider-Man #700, on-sale today, writer Dan Slott and artist Humberto Ramos bring readers the final fight between Doctor Octopus and Spider-Man! 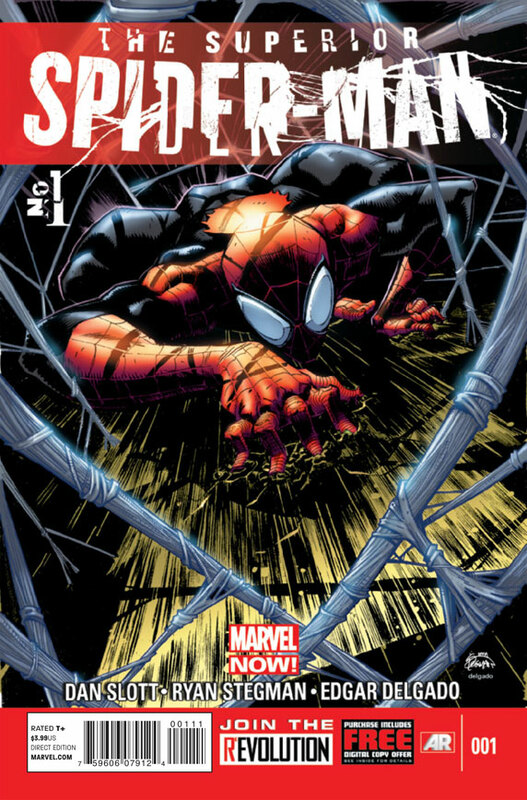 But as Peter Parker takes his last breath, his deadliest enemy gets the ultimate revenge by assuming the identity of Spider-Man and the life that belonged to him! But just how will Doc Ock be the Superior Super Hero? What does it mean for the Marvel Universe and Earth’s Mightiest? Find out as Slott & Ramos re-invent the World’s Most Popular Super Hero like you never thought possible in Amazing Spider-Man #700! And the story doesn’t stop there! Also on sale today, fan favorite creators Chris Yost and Paco Medina bring you the Superior Spider-Man on a mission that brings his past, present and future colliding together in the must read, Avenging Spider-Man #15.1! But make sure you visit your local comic shop quickly, because Amazing Spider-Man #700 and Avenging Spider-Man #15.1 are already sold out at the distributor level—but second printings will arrive in stores on January 30th. On January 9th, Marvel launches Superior Spider-Man #1, an all-new ongoing series from Slott and superstar artist Ryan Stegman (Fantastic Four, Scarlet Spider)! Shipping twice-monthly, Superior Spider-Man launches a new chapter in the Marvel mythos, as Doctor Octopus strikes out on his own to be the greatest Spider-Man this world has ever known. But can he keep up the ruse? Will Spidey’s closest allies discover the fate of Peter Parker? And can this Spider-Man truly be a hero? into one of the most beloved and recognized Super Heroes in the world. 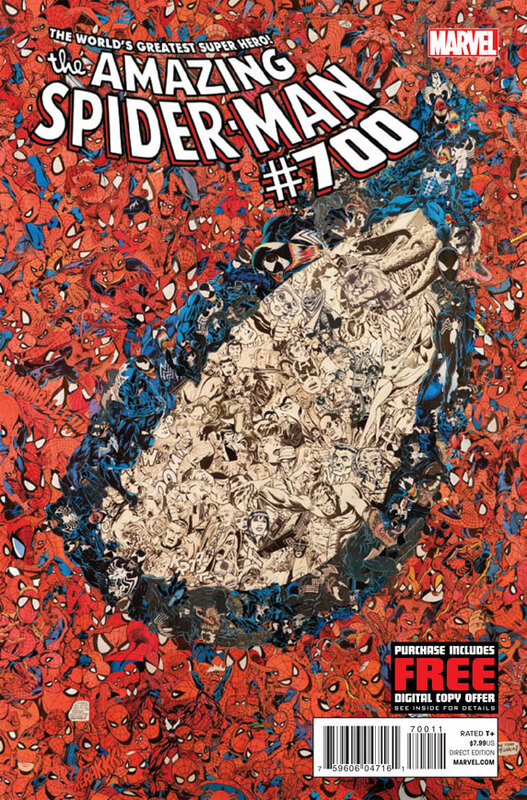 The events of Amazing Spider-Man #700 not only bring this landmark series to a conclusion, but also mark the end of Peter Parker’s tenure as the iconic Marvel Super Hero. Don’t miss out on the story that’s taken the world by storm—Amazing Spider-Man #700 and Avenging Spider-Man #15. on-sale now at your local comic shop, the Marvel Comics app & Marvel Digital Comics Shop! There’s a new Spider-Man in town and he makes his friendly neighborhood debut today! To find a comic shop near you, visit www.comicshoplocator.comor call 1-888-comicbook.